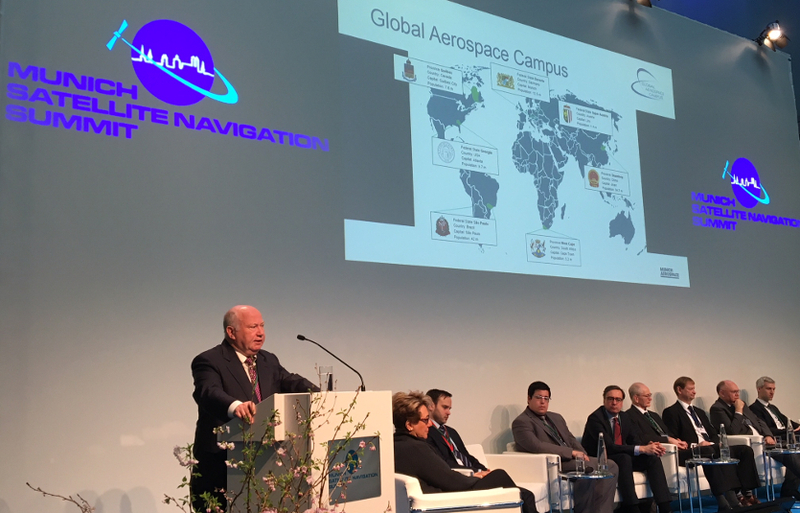 5-7 March 2018 - Munich Aerospace was again present at 2018's Munich Satellite Navigation Summit. As part of the "Munich Flashlights" session, Executive Board Member Professor Guenter W. Hein talked about the fields of activity of Munich Aerospace and the progress with the international online teaching project "Global Aerospace Campus". The three-day event with approximately 300 participants for the first time took place at the Alte Bayerische Staatsbank in central Munich. 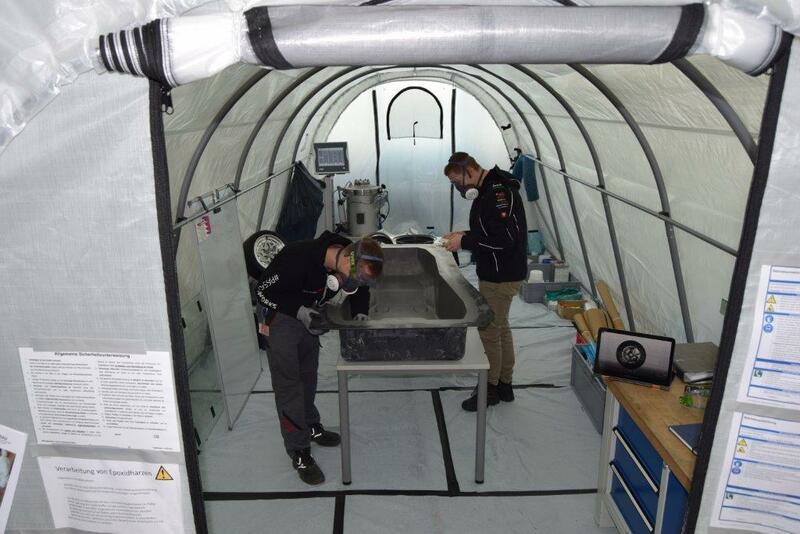 Since February 2018, University of Applied Sciences Munich manufactures carbon composites structures and components for the next generation of racing cars taking part of the race series “Formula Student” split into the categories “combustion engine”, “all-electric”, and “autonomous”. This activity takes place in cooperation with Munich Motorsport association (www.munichmotorsport.de), Airbus Central R&T department, and LBC-based start-up company “Blackwave” (www.blackwave.de). “Formula Student” is a construction challenge, which has been launched back in 1981 with today more than 300 participating teams around the world whose members are students only. The finishing of the three racing cars is foreseen for May. University of Applied Sciences Munich has approached Ludwig Bölkow Campus because lightweight construction is one of its focal points of research. On February 28, Ludwig Bölkow Campus (LBC) and Airbus Leadership University organized a lecture on “cloud computing”. Mert Altindag, founder and CEO of the start-up company “Cloud Ararat” (www.cloudararat.com), which settled on LBC in November 2017, gave an introductory lecture on the principles of cloud computing attended by Airbus employees from several departments. A subsequent “Q&A” session completed the event and further lectures are planned. This event is another good example for the cooperation between LBC and Airbus Leadership University, and for the regular exchange of expertise for the mutual benefit of all partners located on the campus. On January 29, around 100 Canadian CEOs visited Ottobrunn. The 3-day visit to the greater Munich area has been organized by the “Business Council of Canada”. 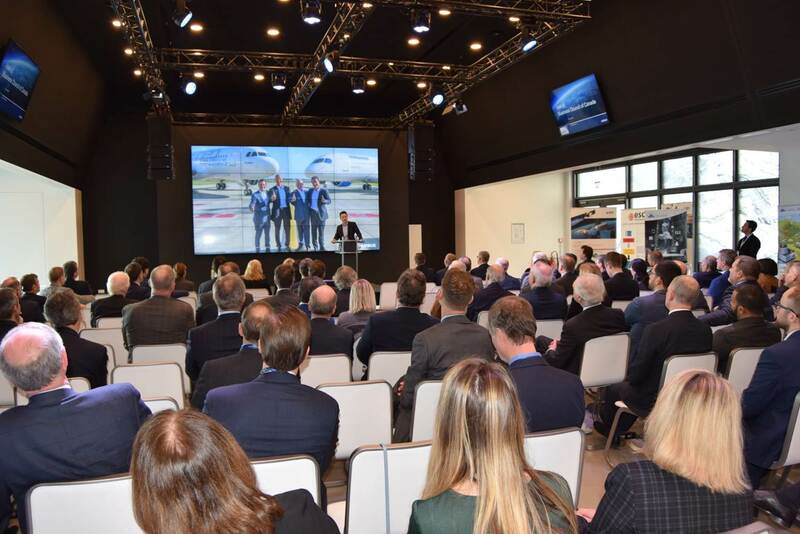 The CEOs came to Germany in order to get first-hand information about the latest developments on IoT, digitization, new materials and innovations in the aerospace sector. Dirk Hoke, CEO of Airbus Defence and Space, gave an overview of the latest (technological) developments in Airbus Group, and Alexander Mager, MD of Ludwig Bölkow Campus GmbH (LBC), briefed the Canadian delegation about innovations on campus. Moreover, several start-ups located on LBC had the opportunity to display their products and business ideas to this group of top executives from Canada. On January 19, the first get-together event in 2018 took place on Ludwig Bölkow Campus (LBC). The company Helicopter Travel Munich (HTM) welcomed several companies and research establishments located at LBC and presented its impressive service portfolio from passenger transportation, aerial photo shoots and filming to maintenance and conversion activities carried out on numerous helicopter types. The so called "get-togethers" take place every 2 months with changing locations and serve the networking on campus.